There have been several misinterpretations of what I and other deconstructionists are trying to do. It is totally false to suggest that deconstruction is a suspension of reference. Deconstruction is always deeply concerned with the "other" of language. I never cease to be surprised by critics who see my work as a declaration that there is nothing beyond language, that we are imprisoned in language; it is, in fact, saying the exact opposite. The critique of logocentrism is above all else the search for the "other" and the "other of language." 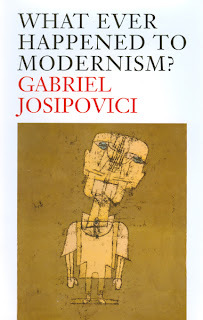 Every week I receive critical commentaries and studies on deconstruction which operate on the assumption that what they call "post-structuralism" amounts to saying that there is nothing beyond language, that we are submerged in words—and other stupidities of that sort. Jacques Derrida in an interview with Richard Kearney, printed in Dialogues with Contemporary Continental Thinkers published in 1984. 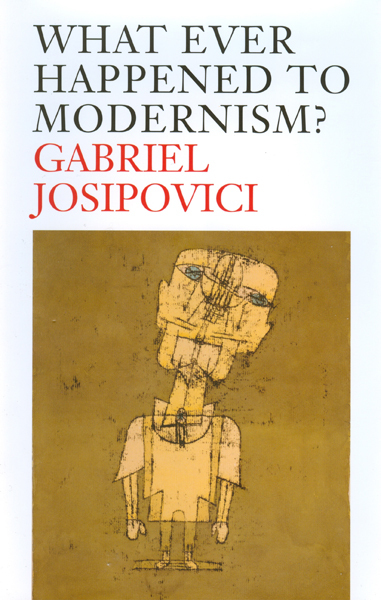 In the 1980s I came across post-structuralism, post-modernism, literary theory and the works of characters such as Jacques Derrida, and disillusionment was replaced with rage. These people wanted to tell us that ‘there is nothing outside of the text’ – that the linguistic representation of an extra-linguistic reality was an illusion. “Tell that to a junior doctor responding to the message ‘Cardiac arrest, Ward 6’” I thought. Raymond Tallis in the August/September 2010 edition of Philosophy Now. NB: The post title alludes to the final line of this song. 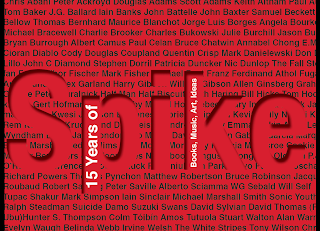 To celebrate its fifteenth year, Spike Magazine has created a 600-page PDF book sampling its online output. You can download it for free from the website. Unfortunately, there are many contributions from me. Reading Chris Mitchell's introduction, I was reminded of a work-related car journey to Luton in which we discussed possible names for the proposed ezine. 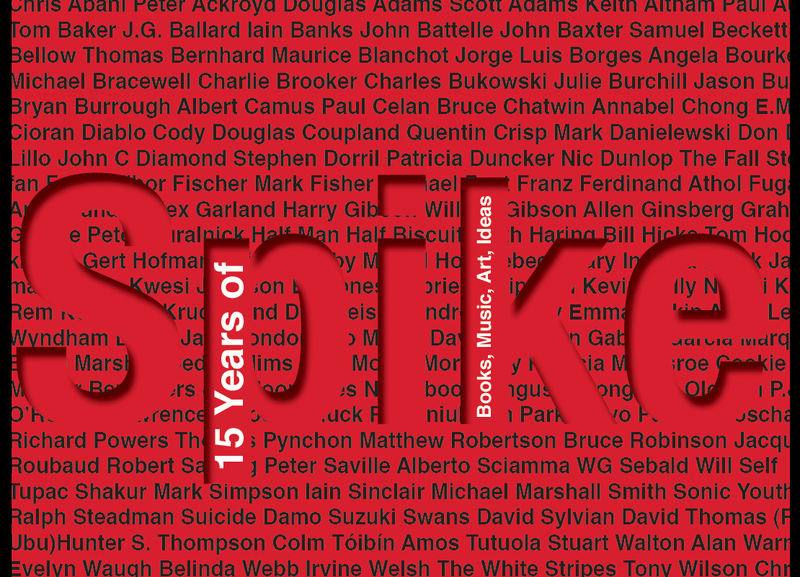 "Spike" was not mentioned as I would have surely objected to its lack of gravitas. This was symptomatic because, despite my presence, I was always an outsider to the project of "picking the brains of popular culture", Spike's subsequent tagline. Unpopular culture is more my scene and raising the profile of an alternative book culture was always the aim. In the mid-Nineties, Chris says, "there was very little about books or literature on the web" and so "it seemed like a chance to get in at the beginning of something". Looking back, we can see how online publication mimicked newspapers – reviews, features, interviews – and could only be in their shadow. My first contribution was a review of two Beckett biographies. I had not written like this before but the medium was public only in name; who was going to read it? Chris offered me freedom to write anything, so I bashed out essays on EM Cioran and Thomas Bernhard, both of which give me nightmares now but, at the time, gave a direction to writing it had previously lacked. The beginning had begun, so what came next? Henderson, the Rain King has disappeared from my bookshelves. The sixties Penguin paperback with exposed binding and a dog-eared cover may have been thrown out, yet Humboldt's Gift remains despite the detached first 32 pages. Searching in boxes has yielded only two other neglected Bellows: The Actual and The Viking Portable Library collection. So where did Henderson go? 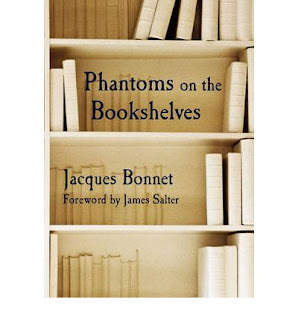 Perhaps it's no coincidence that my search began while I was reading Jacques Bonnet's Phantoms on the Bookshelves, a short, relaxing book about the author's library of 20,000 volumes. The phantoms of the title are not missing books but "sheets or cards inserted to mark the place of a book removed from a library shelf". So the book is about the reading of his books and the practical problems of owning so many - storages, organisation, protection - as well as the more abstract, biographical issues of ownership; why, for instance, this bibliomania? Bonnet's response is deflected by anecdotes and light-heartedness: even if a book on his shelves has not been read and, like the essay on Slovenian grammar he possesses, may not be quite essential, it still may come in useful one day. The inevitable breaking of the promise of a possible future is perhaps Bonnet's blindspot and there is no anxiety in the shadow of no more time to read. The very first is (unfortunately) my favourite anecdote because it proves immediately that Bonnet is no dilettante. 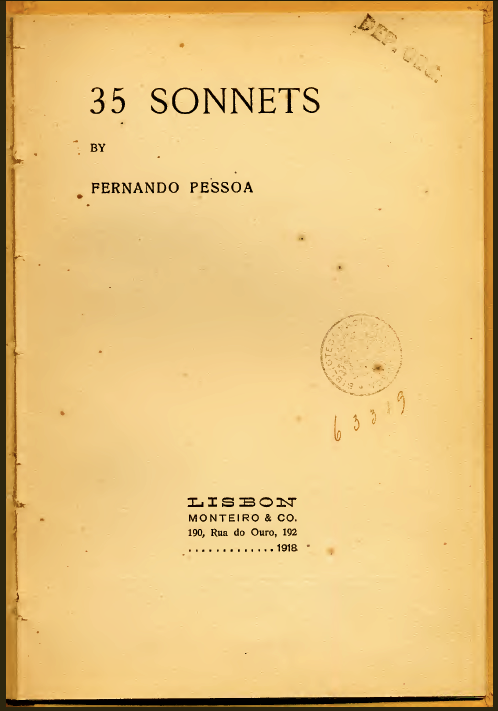 He tells the wistful story of Fernando Pessoa's failed application of 1932 to become the librarian of a museum outside Lisbon; a story that emerges from a reproduction of the poet's stiffly impersonal letter in a 1981 Portuguese book of photographs Bonnet found in a bookshop two years later. Bonnet compares it to two other editions of the book before reprinting the letter in translation. We can then begin to appreciate why Pessoa was not given the museum post and perhaps also why he died three years later, still stuck in a boring, low-paid job in the capital: shelves of bottles attracted when shelves of books retreated. 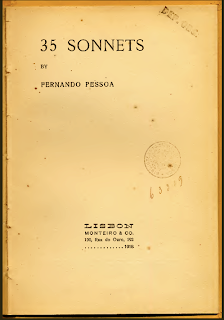 Reading the letter, I am reminded of how moving it is to look at the cover of Pessoa's 1918 collection 35 Sonnets. What is it about the paratext, the colouring, the spots and the stamps that provokes the need to hold, examine and read? While I don't share Bonnet's bibliomania, I do feel something. In fact, I have the opposite urge to Bonnet. Removing books, giving them away, is often a relief if only because it means there is room for new books. In comparison, Bonnet's acquisitions are on an imperial scale: "Every region on earth is represented there somewhere," he says, "the continents with all their landscapes, their climates and their ways of life". His library is "a concentrate of space" which gives him "the feeling of being all-powerful". While it's clear his remains a working library rather than a collector's, it does seem to have a pathological aspect: "The library protects us from external enemies," he says, it "filters the noise of the world, tempers the cold winds around us". So why, with this, does the author become a stranger? If it can be said, for me books offer unexpected, often ineffable transformations, far from protection, and, after a certain time, one begins to discern the signs of promise. Those that signal nothing can go; must go. I am foreign to a certain kind of ownership. For example, watching this video of Nicholas Basbanes showing a film crew around his enviable library – handling the books, flipping through the thousands of pages and returning them to the company of hundreds of other, unopened books still in pristine condition – triggers an unexpected melancholy in me. Certainly there's discomfort in the company of ageing hands in amongst all those young glossy jackets, but it is the same melancholy I experience when, in Derrida: the movie, the great man reaches for two vampire novels by Anne Rice given to him by a student: specifically, the noise as they clunk against the wooden shelving and then Derrida's response when asked if he has read or will ever read them. Is it only from this perspective that one recognises the cruel remove of books; when they become silent masters of their own prison? Henderson remains elusive. Now I see the latest Penguin Modern Classic edition is £14.99; a cruel price for a great novel. England needs a Reclam Verlag. My entire life seems to have disappeared in a movement of seeking that is perhaps the experience of writing, the responsibility for which I try to bear, poorly but absolutely. Maurice Blanchot, letter to Elio Vittorini, 1963. The 'scandal' and the importance of the [Berlin] wall is that, in the concrete oppression that it embodies, it is essentially abstract and that it thus reminds us – we who forget this constantly – that abstraction is not simply a faulty mode of thought or an apparently impoverished form of language but rather our world, the one we live and think in on a daily basis. Both in Political Writings (1953-1993).